It’s not a secret that Internet is a highly competitive marketplace. And success here is very relative: you always need to keep your eyes on the ball, constantly adjusting to the market changes, to the behavior of the target audience and of course competitors. Analyzing competitors SEO is not a spy game, it is fully legal research tool for building strong and effective SEO strategy for an online resource or service. And it is one of the vital approaches to find a correct course for optimizing your own SEO performance. Instead of learning the hard way you can use the results of someone’s successful experience in your sphere – eat fruits instead of planting the trees. It is possible not only to reach the competitors, but to leave them behind, knowing the sources of their rank feeding. By checking the experience of competitors you can clearly see the weak sides of your own campaign and correct them quickly. How to define competitors on the market? How to find competitors backlinks? How to apply the results of your research for your own benefit? In this post we will overview useful tools and services (most of them are free!) that may help to reduce the efforts for gathering and managing required SEO information and produce a clean system of actions for turning competitors’ success on your side. 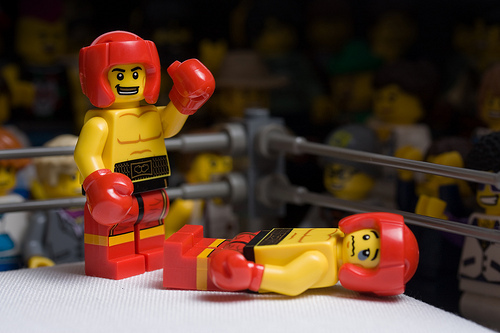 #1 How to define competitors on the market? The major target of SEO is to move a website (no matter what area of services is considered) up in the search results list. You can simply enter your major keyword to the Google search bar, and find the first 10 websites in the results will be your major competitors by that keyword. As usually there are a few major keywords used in campaign, you can check them all, and define your own TOP10 or TOP20 list of websites that have better relevancy and positions in search results. 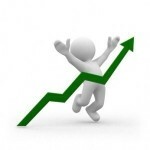 You will use these websites for further analysis of competitor backlinks. Another approach is using services for automatic tools for the same job. It is a real life-saver when it goes about analyzing multiple keywords that sometimes takes very long time and turns extremely boring. It requires registration on Ontolo website and allows running one campaign for free, getting up to 25 reports. To analyze more domains you need to purchase a PRO subscription, but we don’t need it for our purpose. 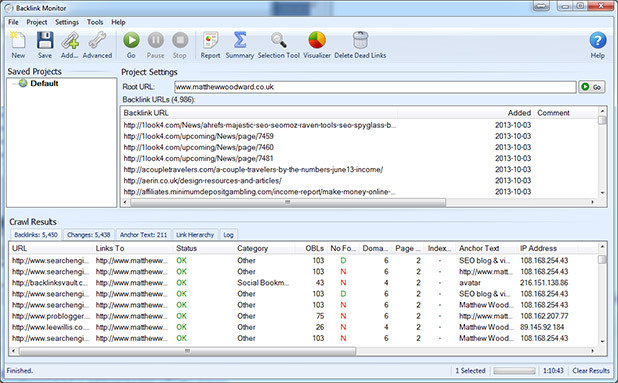 The service can analyze multiple keywords at once. It shows the rated results list, directly showing who your main competitor among the rest is. It may show websites like Wikipedia and other .org domains, as well as global sites like Amazon as your competitors, when they actually are not. That is why you will need to filter those sites from results. The service doesn’t consider your location as criteria for analysis. For example, your online jewelry shop in England doesn’t compete with the one from Africa – the sites operate on different markets, have different target audience. The conclusion is obvious – machine analysis should be checked manually. After you’ve got the list of your virtual enemies, it’s time to figure out, how to find backlinks of competitors. And here you will need another research tool. #2 How to find competitor backlinks? Grabbing all backlinks of TOP10 competitors’ sites is also a time-consuming task. However, there are a lot of free and paid backlink checkers that speed this process up significantly. In order to get the fullest possible list, we will need to combine the results from different backlink checkers, as each one has its own database, and the output may vary from service to service. We are targeted at the fullest and the truest picture, so let’s start! 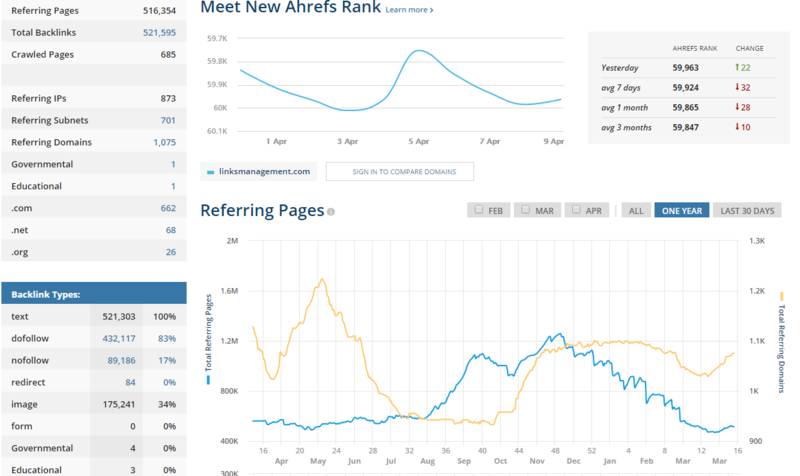 One of the most popular and efficient checkers is Ahrefs. You can use it for free to see the SEO statistics for the competitor’s domain and get up to 10 backlinks of various types (new, lost). In paid subscription you will be able to export all competitor backlinks in CSV report. You should check all 10 competitors. As a result there will be 10 separate reports. SEO Spyglass is another helper that currently possesses the biggest link database. It’s not a web service, it is a desktop application that checks for backlinks via internet connection and returns the report with up to 1100 inbound links per domain in free version. Paid license features unlimited domain analysis that gives all backlinks at once. The disadvantage is the absence of automatic export, but the information provided is priceless. Majestic SEO features free subscription that gives access to backlinks export for the domain you own. For all other domains only 10 top backlinks are available for export. However, it is also useful for our purpose. 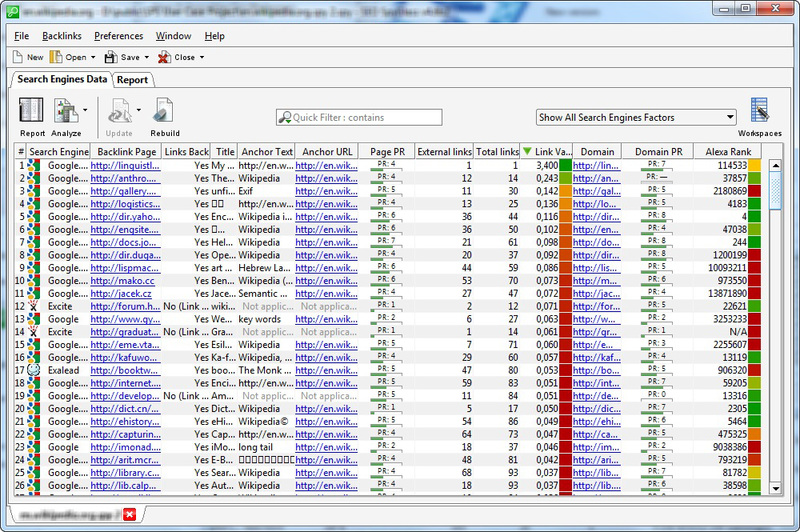 Open Link Explorer is one of SEO tools from Moz with quite smaller link database compared to other backlink checkers. Free research provides TOP50 backlinks for each domain. Export to CSV is available in paid subscription. How to get competitor backlinks? Once you’ve collected maximum of available links from the aforementioned sources (there can be other sources too), we need to find a handy way of analyzing that information to move forward. I suggest simple copy-pasting the link information into a TXT file. Just copy all the links you see in checkers’ reports and save the file on your computer. It would be better, if the file doesn’t contain duplicates, so make sure you got rid of them. You can do it automatically with special software duplicate removers. After such file is created and cleaned from duplicates, we can move to analysis. As the major purpose is to improve the rank in search engine (let’s take Google), the analysis is targeted at defining the links that are indexed and have high ranking. There is a plenty of ways how to sort out the most valuable backlinks from the entire scope of information. For instance, you can use Microsoft Excel by importing the TXT file and sorting it out. Working with data in a spreadsheet helps to sort by DA and PA parameters to define what links you should use in your own campaign. You can also use Scrapebox for sorting data or SEO Tools for Excel. ScanBacklinks is an easy and useful tool to find competitors backlinks as well. All you need to do is to enter the site address you want to analyze and press “Search” button. The report will show strengths and weaknesses of the website’s backlink profile, the quantity of nofollow/dofollow links, the quantity of links to a homepage and other pages, etc. You can try this service for free here. Besides this, you can apply Inspyder Backlink Monitor to check the backlink information. Just paste the list of links for analysis, and you will see their characteristics. Sort the high-rank backlinks for further use. The service allows exporting the report into many formats. It doesn’t matter what way you will go, you only need to obtain competitor backlinks of the highest rank. Find and check links for all your TOP10 competitors, and you will see the sources of valuable inbound links for your niche. #4 How to apply the results of your research for your own benefit? 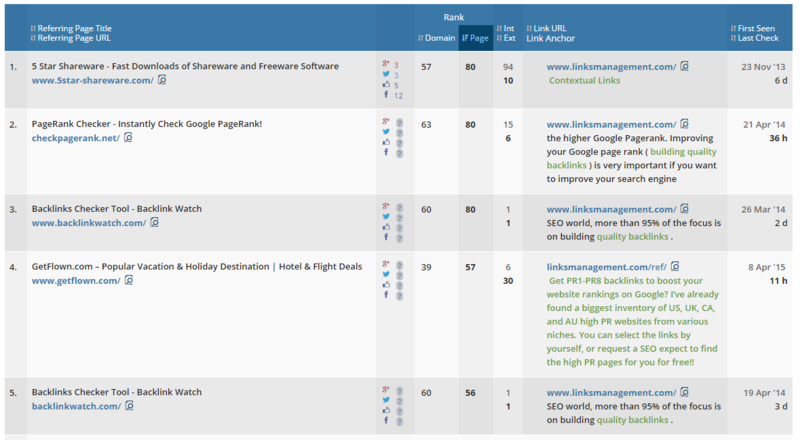 Now you know methods of how to find backlinks of competitors and how to analyze them properly. The result of this research should be applied to your own SEO experience, otherwise it is useless. You need to replicate high-ranked links. It is better to open each URL and see, how the competitor got a link on that page. This can be a comment to some blog post, a conversation in forum thread, a review article, etc. You can do the same –leave your own comment, answer a question, post a video – just do the same your competitor did. Also, you can see another statistics for the main competitor. 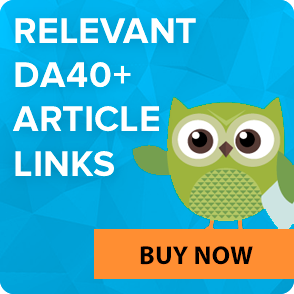 For instance, it has a number of backlinks on pages with specific DA and PA. You understand that gaining the same popularity among target users is possible if you replicate the same backlink profile. Not all links can be obtained manually, free of charge. Powerful DA and PA backlinks can be purchased on specialized services. For instance,LinksManagement offers a huge number of backlinks from reliable sources that help to add a great value to your SEO. Its free backlink calculator also helps to analyze your resource and define what backlinks it lacks for reaching TOP10 in Google search results.